Three figures as above, standing dropping bomb into tube, kneeling with bomb at the ready and running with bomb carrier pack and rifle; as above separate heads are provided. 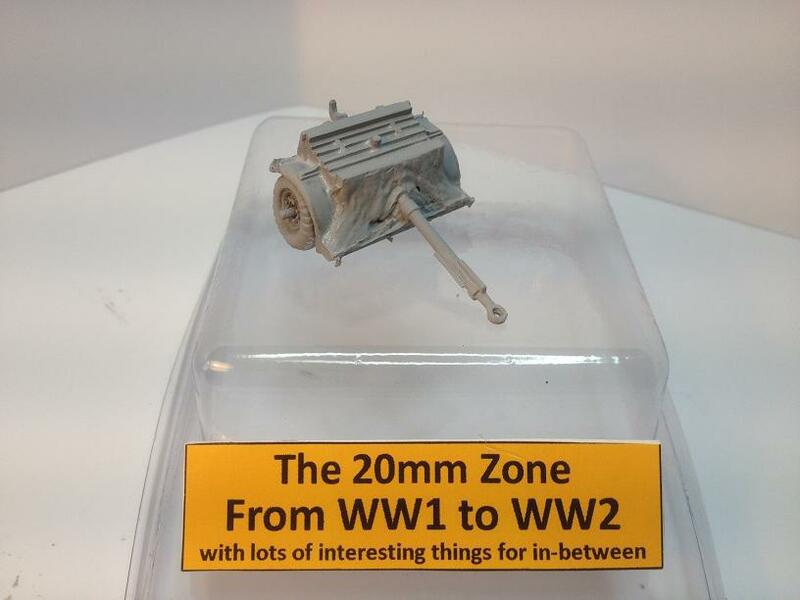 All comments about these figures are as in the review of I5 Italian Breda LMG teams, except a couple of major quality control issues. 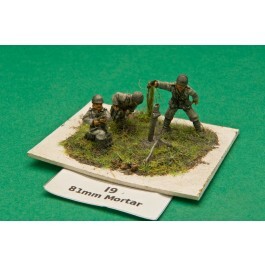 there was no 81mm mortar in this pack just the figures and heads! Two soldiers with full kit wearing greatcoat and Adrian helmet, posed carrying a wounded comrade on a stretcher. The wounded guy is similarly dressed, his coat tails hang below the stretcher (nice touch), he has no head allowing you to give him whatever unit headgear you wish (you get a couple of variants in the pack); the bearers have armbands sculpted on (again a nice touch). The whole group looks the part, though I may paint these up to join my SCW medical unit rather than my French one. 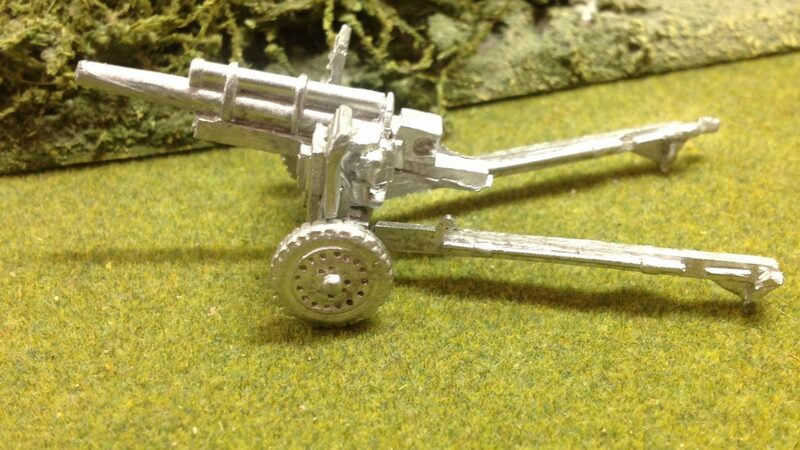 In this pack you get two limbers, both 3-part white metal models – main caisson including towing arm plus two wheels. Dead easy to assemble, there was a tiny amount of flash and some faint mound lines which needed cleaning before undercoating. 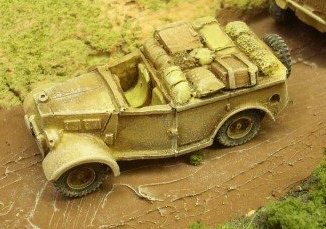 Both models took literally sixty seconds to assemble, great for the modeller who has no time or hates multi-part complicated kits.